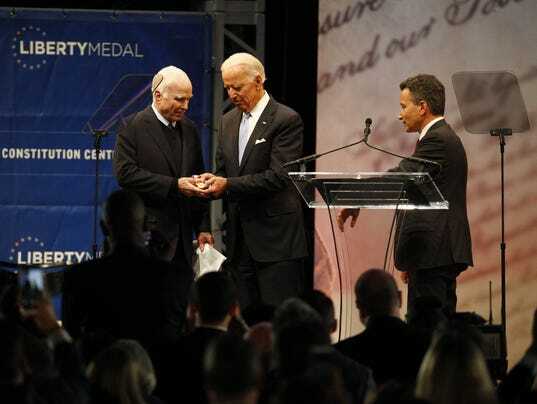 Past recipients of the Liberty Medal include the Dalai Lama, Rep. John Lewis (D-Ga.), former Democratic presidential nominee Hillary Clinton and Pakistani human rights activist Malala Yousafzai. McCain, who was diagnosed with brain cancer in July, served in the Navy for more than two decades and spent years as a prisoner of war in Vietnam. The former Republican presidential nominee made headlines earlier this year after casting a dramatic vote against a GOP bill to repeal and replace ObamaCare, killing the legislation.